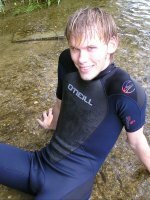 Below is a list of the gear used on this website. How much they cost and where to get them from. We have also included the size of them, incase you thinking of modeling for us. So you know, what would fit you. 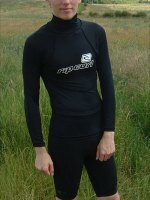 Models wearing this: Chris, Daniel, Gordon, Jon, Josh, Ryan and Sean. Models wearing this: Chris, Gordon, Jon and Sean. Models wearing this: Chris, Gordon, Mike, and Nick. Models wearing this: Chris, Gordon and Mike. Items: Nalini Columbia Highroad Team 2010 jersey and shorts 2010. Price: £--.-- for the jersey. £45.15 for the shorts. 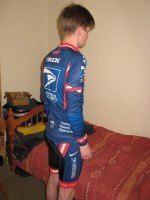 Items: Nike USPS cycling jersey and shorts. Price: £46.99 for the jersey. £53.99 for the shorts. From: A.W. Cycles and eBay UK. Models wearing this: Gordon and Jon. 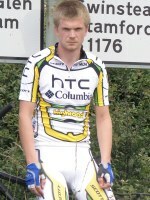 Items: Pearl Izumi Team Garmin-Chipotle cycling jersey and shorts. Price: £44.99 for the jersey. £62.99 for the shorts. 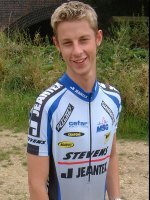 Item: PBK Team Long Sleeve Skinsuit 2009. Models wearing this: Chris, Daniel, Gordon, Jon, Mike and Ryan. 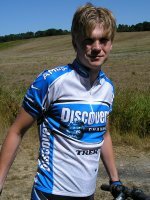 Items: Team Discovery cycling jersey and shorts. Price: £39.99 for the jersey. £49.99 for the shorts. Models wearing this: Chris, Gordon and Jon. 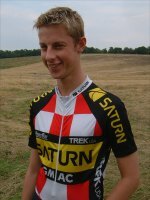 Item: Team Saturn Cycling Lycra Skinsuit. 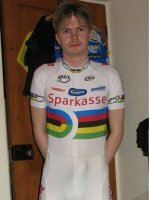 Item: UCI World Cup Team skinsuit. Item: O'Neill SUPERFREAK 5/4mm ST Boot. Models wearing this: Chris, Daniel, Gordon, Nick and Ryan. From: Tallington Lakes Pro Shop. Models wearing this: Daniel, Jon, Gordon and Sean. Models wearing this: Mike and Ryan. 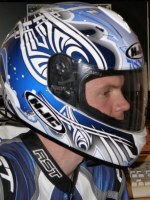 Item: RST Pro Series 1 Piece Leather Suit - Blue. Item: HJC ZF-10 Karlie - Blue. Size: Medium (57 - 58). 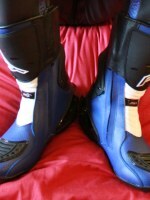 Item: RST Razor Sport Boots - Blue. 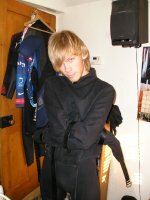 Models wearing this: Chris, Daniel, Gordon, Jon, Mike, Ryan and Sean. 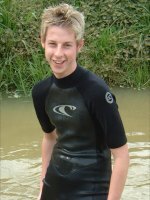 Item: O'Neill Gooru 2/1 Shorti. Models wearing this: Gordon, Mike, and Ryan. 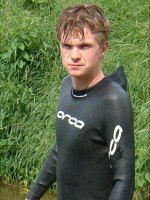 Item: O'Neill Hammer Spring Suit. From: O'Neill shop, in Glasgow. Models wearing this: Daniel, Gordon, Jon and Mike. 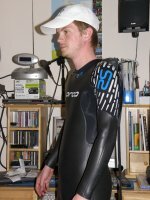 Item: O'Neill 5/4 Mutant wetsuit. 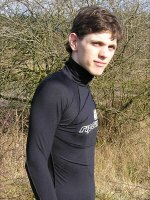 Models wearing this: Chris, Daniel, Gordon and Mike. Item: O'Neill Neoprene Sports Shorts.